The US FDA Amendments Act (FDAAA 2007) requires certain clinical trials to report their results onto ClinicalTrials.gov within one year of completion. European Union (EU) guidelines are broader: they require all trials of medicinal products registered on their EU Clinical Trials Registry (EUCTR) since 2004 to report results within one year of completion. Our FDAAA TrialsTracker and EU TrialsTracker show all individual trials that breach these legal requirements. Each week we write about one unreported clinical trial: you can read more background here, and past entries are here. This week’s unreported trial is titled “A Longitudinal Prospective Outcomes Study of Laparoscopic Abdominal Wall Hernia Repair Using Symbotex™ Composite Mesh” (NCT02341430). This phase 4 trial had an estimated enrollment of 50 adult participants with a Grade I or II ventral hernia. The trial was not randomised with single group assignment for treatment with the Symbotex™ Composite Mesh. The primary outcomes were hernia recurrence, quality of life, hernia associated pain and movement limitations, reoperation rate, percutaneous intervention rate, and adverse events. Surgical mesh is often used in hernia repair. Symbotex™, one brand of mesh, incorporates a bioabsorbable film into a nonabsorbable polyester mesh and is used to strengthen abdominal hernia repair and reduce rates of reoccurrence. Approved by the FDA in 2013, using the substantial equivalence route (K131969), Symbotex™ claims to be easier to deploy laparoscopically for abdominal hernias and reduce adhesions by minimising tissue attachment. However, there are concerns that hernia meshes can cause severe complications including pain, infection, adhesions, obstruction and in some cases perforation of organs. Trials of surgical mesh have been poorly designed, poorly conducted and often lacking in long-term follow-up to aid decision making. It is important that studies, like the one described above, are reported and should inform recurrence and complication rates in the first year after surgery to provide essential safety information. Results from another observational cohort study (NCT02206828) of 100 participants treated with Symbotex™ and followed up for one year is not covered under FDAAA but has recently had results submitted to ClinicalTrials.gov and is currently undergoing quality control review. Sponsors are responsible for ensuring the information provided on their registries is accurate and up to date per the FDAAA 2007. While information submitted to ClinicalTrials.gov does undergo quality control review, inaccurate or contradictory data can still be posted to the registry. For instance, the above trials is identified as a “Single Group Assignment.” This is defined in the ClinicalTrials.gov glossary as “a type of intervention model describing a clinical trial in which all participants receive the same intervention/treatment.” However, the sponsor has also stated in registry entry that the trial was triple masked, meaning that the participant, care provider, and outcomes assessor are blinded to who receives which treatment. Masking makes little sense in the context of a trial with no comparator arm in which every patient recieved the same intervention—and an invasive surgical intervention at that. The specified outcomes and completion dates are also at odds. As noted above, the sponsor identified six primary outcome measures, each meant to be assessed at “one year.” It is not clear from the entry whether these were meant to be assessed once, at one-year post-surgery, or continuously over the course of a year: best practice around prespecifying outcomes requires a description of what will be measured, how, and when. In any case, once each participant has had a year of follow-up, the study will have completed all data collection: however, the completion dates provided by the sponsor do not match this timeline. “Primary Completion Date” and “Study Completion Date” have very specific meanings on ClinicalTrials.gov. The primary completion date, used to assess when results are due to report under the FDAAA 2007, is defined as “the date on which the last participant in a clinical study was examined or received an intervention to collect final data for the primary outcome measure.” The “Study Completion Date” is defined as “the date on which the last participant in a clinical study was examined or received an intervention/treatment to collect final data.” In this trial, all the provided outcomes are “primary outcomes” with one year follow-up. It is therefore impossible for the “Primary Completion Date” and “Study Completion Date” to differ and yet, according to the registry entry, they are separated by almost 2 years (11 Sept 2017 and 1 Sept 2019). This means that currently either the outcomes are incorrectly described or the completion dates for this trial are inaccurate, either of which is problematic for a third-party assessing this record. This unreported trial was sponsored by Anne Arundel Health System Research Institute in Maryland, USA in collaboration with Medtronic Minimally Invasive Therapies Group (MITG). The PI is Dr. Adrian Park. As of 31 October 2018, this trial is 50 days overdue to report. We hope the sponsor will report the results of this trial soon. 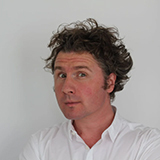 Ben Goldacre is a doctor, author, and director of the EBM DataLab at the University of Oxford. He co-founded the AllTrials campaign for trials transparency. Competing interests: BG has received research funding from the Laura and John Arnold Foundation, the Wellcome Trust, the Oxford Biomedical Research Centre, the NHS National Institute for Health Research School of Primary Care Research, the Health Foundation, and the World Health Organization; he also receives personal income from speaking and writing for lay audiences on the misuse of science. 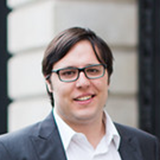 Nicholas J DeVito is a researcher at the EBM Datalab at the University of Oxford. Competing interests: ND is employed on BG’s LJAF grant and is a Naji Foundation scholar at the University of Oxford. 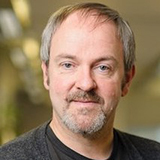 Carl Heneghan is professor of EBM at the University of Oxford, director of CEBM, and a GP. He is also a founder of the AllTrials campaign. Competing interests: CH jointly runs the Evidence Live conference with The BMJ and is a founder of the AllTrials campaign. He has received expenses and payments for his media work. He has received expenses from the World Health Organization (WHO) and the US FDA, and holds grant funding from the NIHR, the National School of Primary Care Research, the Wellcome Trust, and the WHO. He has published previously on IVF “Add-on treatments” in The BMJ.